John Blackwell, world-class groove master and drummer with Prince, offers his approach to developing the astounding technique he has become know for, including key exercises that he used as a student and still uses today. John covers building a solo, single hand rolls, single pedal technique and much more. He also shows, in detail, his amazing stick twirling technique, and explains how he was influenced and inspired by heroes like Lionel Hampton, Sonny Payne and Gene Krupa. Also included on Technique, Grooving and Showmanship is incredible footage of John’s performance at the Modern Drummer Festival 2002 with his band Matrix, featuring Tom Coster, Baron Browne and Bruce Bartlett. A great segment on grooving features John in the studio with Baron Browne on bass, playing and discussing styles that include funk, jazz, blues and funk ballads. WAO!! JOHNY IS THE BOSS, I JUST LOVE ALL HIS LECTURES HE MAKES ME FILL GOOD….SO MANY THANKS TO HIM. 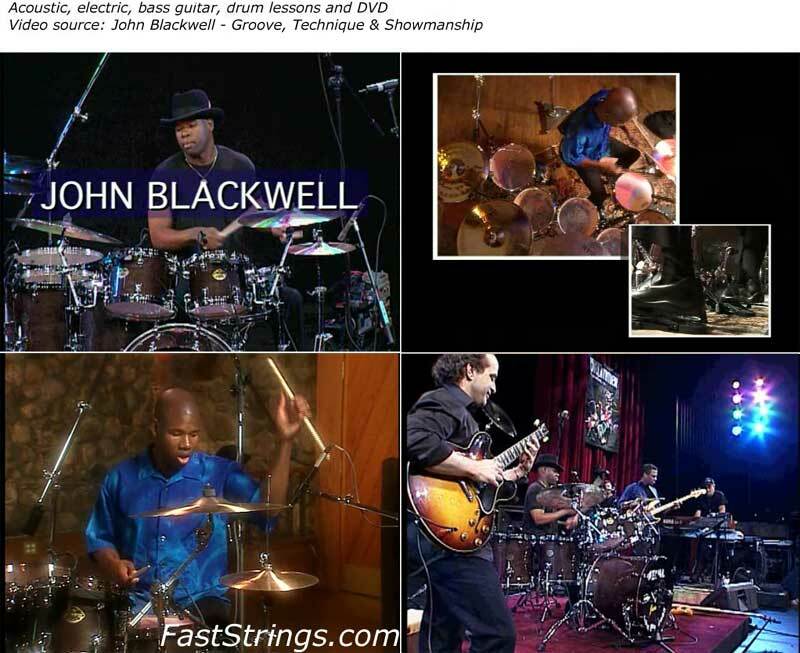 The John Blackwell drumming video is good – thanks! Hey Guys Do you have any Reggae Drumming Tutorials !!!!? hey man thnks! don’t you have his master series ??!! :yourock: thanks you very much!